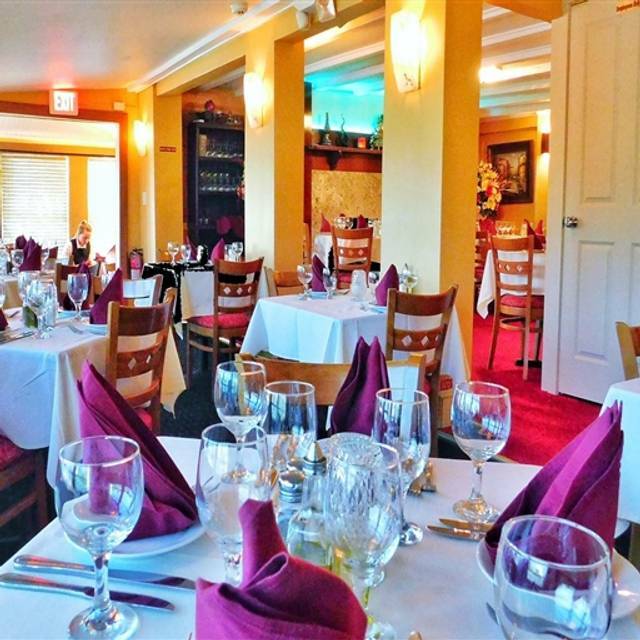 You must make reservations at least 5 minutes in advance of the time at Sapore Italiano. We have our own private parking lot and there is also off street parking with no meters. Sapore Italiano is a fine dining restaurant aiming to bring the best to our customers. For New Years Eve we do have a prefix menu for $75 + tax and gratuity. Fresh chopped tomatoes,onions,garlic,basil and extra vrigin olive oil served over toates bread. Tomatoes with fresh mozzarella,basil and roasted peppers drizzled in extra virgin olive oil. Fresh eggplant battered in egg rolled with ricotta cheese, baked with tomatoe sauce and mozzarella cheese. Mussels sauted with garlic, extra virgin olive oil in a white wine or red tomatoe sauce. Clams sauted with garlic, fresh basil and extra virgin olive oil in a white wine or red tomatoe sauce. Fresh fried calamari served with marinara sauce. Seasoned with lemonm olive oil and parsley. 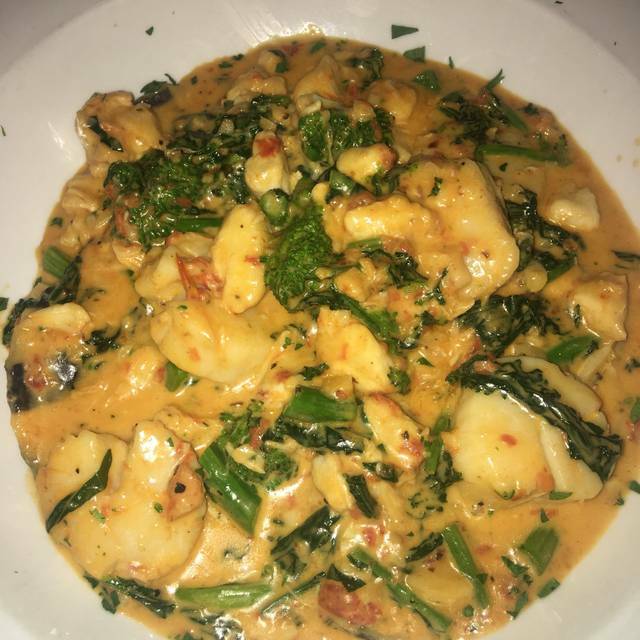 Live mussels, clams, shrimp, calamari and fresh scallops in a white wine or red tomatoe sauce. Baby greens and cherry tomatoes in our house dressing. Romaine lettuce served with croutons in our homemade Caesar dressing. Arugula with sharp pecorino romano cheese in lemon and extra virgin olive oil. Beets,goat cheese, candied walnuts and baby greens in extra virgin olive oil. Portobello Mushrooms. Grilled Portobello served with roasted peppers balsamic reduction. Arborio rice sauteed with extra virgin olive oil, garlic, fresh vegetables in white wine or tomatoe sauce. Italian arborio rice with porcini mushrooms in a light cream sauce. Arborio rice sauteed with shrimp and garlic in extra virgin olive oil in a pink cognac sauce. Arborio rice sauteed with extra virgin olive oil, garlic, shrimp, mussels, clams and calamari in white wine or red sauce. Chicken cutlet sauteed with fresh mushrooms,extra virgin olive oil in marsala wine demi-glaze sauce. Lightly breaded chicken cutlet baked with fresh marinara sauce and mozzarella cheese served with spaghetti. Egg battered fresh eggplant baked with tomatoe sauce and mozarella cheese served with spaghetti. Chicken cutlet sauteed with asparagus, topped with mozzarella cheese in lemon white white sauce. Chicken cutlet sauteed with shallots, fresh mushrooms, roasted peppers in white wine lemon sauce. Chicken cuttlet sauteed with fresh shitake mushrooms and capers over capellini in white wine lemon sauce. Chicken cuttlet topped with prosciutto, spinach and mozarella cheese in a white wine demi-glaze sauce. Chicken cuttlet dipped in egg with capers and lemon, extra virgin olive oil in a white wine sauce over capellini. Chicken cutlet, topped with crabmeat and spinach in a cognac demi-glaze sauce. Veal medallions sauted with fresh mushrooms, roasted red peppers, in white wine with a touch of demi-glaze sauce. Lightly breaded veal medallions baked with mozzarella cheese and tomatoe sauce served with spaghetti. Veal medallions dipped in egg with cappers in lemon white wine over capellini. Veal cutlet, topped with porcini mushrooms prosciutto and fresh mozzarella cheese in a cognac demi-glaze sauce. Veal medallions sauteed with fresh shitake mushrooms,capers in white wine lemon sauce over capellini. Veal medallions topped with shrimp,artichokes, sun dried tomatoes in a lemon caper white wine sauce overlinguine pasta. Rack of lamd sauteed with shitake mushrooms,roasted red peppers asparagus in a cognac demi-glaze sauce. St. Peters fish sauteed with sun dried tomatoes,fresh mushrooms and spinach in olive oil and lemon white wine sauce. Grilled or blackened Salmon served with sauteed spinach and bruschetta sauce on the side. 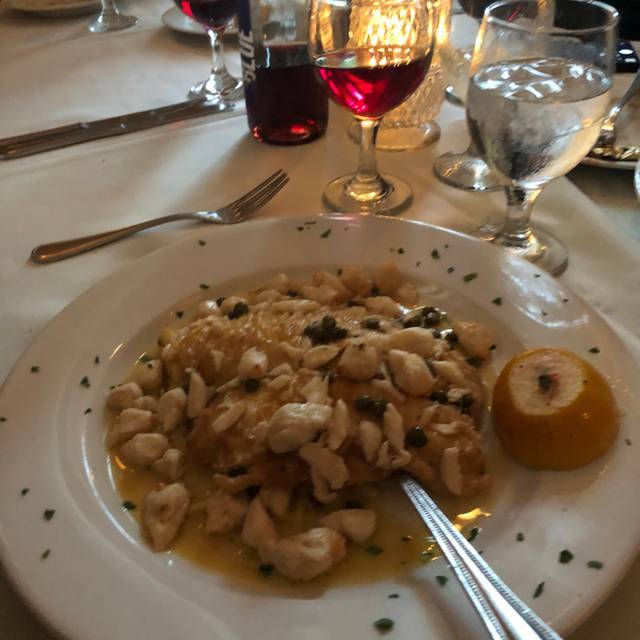 Fresh flounder with crabmeat,capers in a white wine lemon caper sauce. Grilled large mediterranean shrimp dressed with extra virgin olive oil and lemon. Linguine sauteed with shrimp, garlic extra virgin olive oil in a spicy white wine tomatoe sauce. Linguine sauteed with little neck clams, garlic, extra virgin olive oil in white wine or tomatoes sauce. Spaghetti pasta sauteed with shrimp, garlic, cherry tomatoes, artichokes and extra virgin olive oil in a white wine lemon sauce. Capellini pasta sauteeed with crabmeat, extra virgin olive oil, garlic and capers in white wine tomatoe sauce. 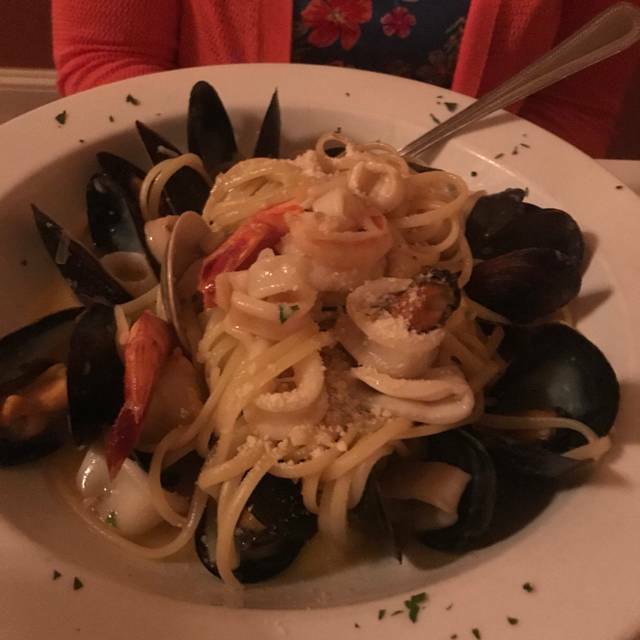 Linguine sauteed with mussels, clams, shrimp, calamari, garlic and extra virgin olive oil in white wine or tomatoe sauce. Spaghetti with fresh mozzarella, cheese, basil in a fresh pomodore sauce. Homemade potatoe pasta finished in a red marinara sauce. Penne pasta sauteed with fresh garlic, basil finished in a red spicy marinara sauce. Fettuccine pasta sauteed with grilled chicken in an alfredo sauce. Penne with vodka pancetta in rose tomatoe sauce. Penne sauteed with garlic, extra virgin olive oil, capers, olives, anchovies in a white wine spicy tomatoe sauce. Homemade patatoe pasta in a light pink sauce and chopped fresh mozzarella cheese. Whole wheat or glutten-free spaghetti pasta sauteed with fresh vegetables, olive oil and white wine garlic sauce. Homemade patatoe pasta with gorgonzola and mascarpone, cream cheese sauce. Farfalle pasta sauteed with mild Italian sausage, cherry tomatoes, broccoli rabe in a white wine garlic sauce. Parppardelle pasta and meat sauce finished in red wine tomatoe sauce. Layers of italian pasta stuffed with our meat sauce. We always have dinner here when we come to Cape May. Absolutely delicious. Service was impeccable. Should dim their lights a little in the big downstairs room. Other than that the food was on point. this BYOB restaurant is one of the best. I got the chicken parmagiano and my husband got the fettucini alfredo. The portions were HUGE and a great value. The servers are always friendly and you never have to wait if you have a reservation. Marcus is outstanding server. New back room looks great...Noise level is still LOUD. Great Italian byob and attentive service ! Nice portions for some leftovers. We also appreciate the complimentary antipasto appetizer too! Simply amazing. Great food, Great service, Great atmosphere. And a BYOB! Will definitely be back! Great spot a must stop when you are in Cape May. We have been there several times and food is always terrific. Great food, great service, as usual. Sapore does not disappoint. The staff is consistently welcoming and friendly. The food is always outstanding. We own a Bed & Breakfast in town. We recommend Sapore to our guests all the time. Dined for perhaps 25th time. Timely reservations always honored without issues. The food is excellent. My go to meal is the veal saltimbocca which is always prepared perfectly. 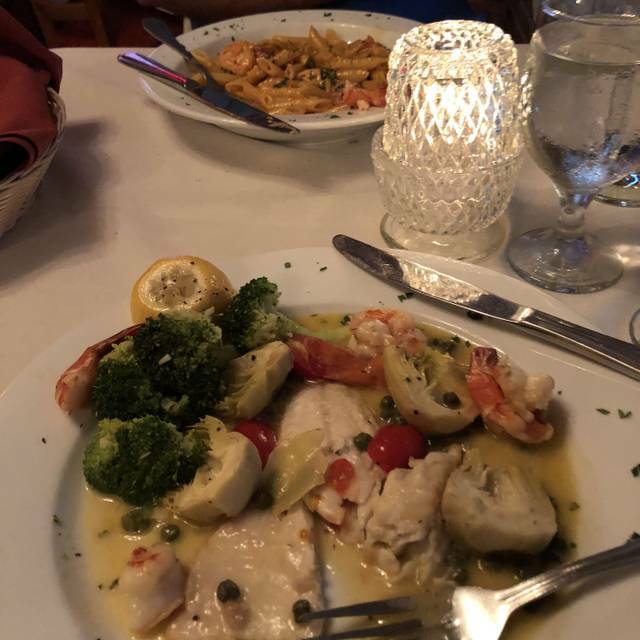 My wife normally orders a seafood pasta addition and we marvel at the quality and quantity of the seafood. If clams casino are available, that’s a no brainer. All of the salads are excellent and huge, so we share. We always request server Max, our friend from Belarus, whose service is 5 star. Finally, the value of the entire meal, including the gratis shared appetizer, simply adds to the overall experience. Party of four, Max our waiter was very attentive and helpful. Food was hot and delivered timely. We enjoyed the night. Food was delicious. Great atmosphere. Will definitely come here again. 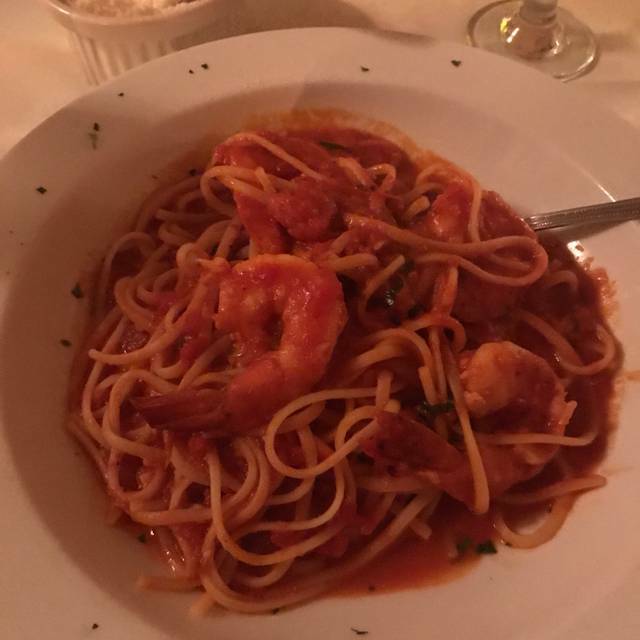 It is one of our new favorites in Cape May. All around excellent. Great experience as it was our first time here. Can’t wait to go back with friends. Very disappointed on this visit. I brought a friend and I raved about the food. We both ordered the Branzini. Well it did not taste as good as prior. The shrimp garnish was too well cooked and tough. The artichokes were not fresh. Will think twice before my return. 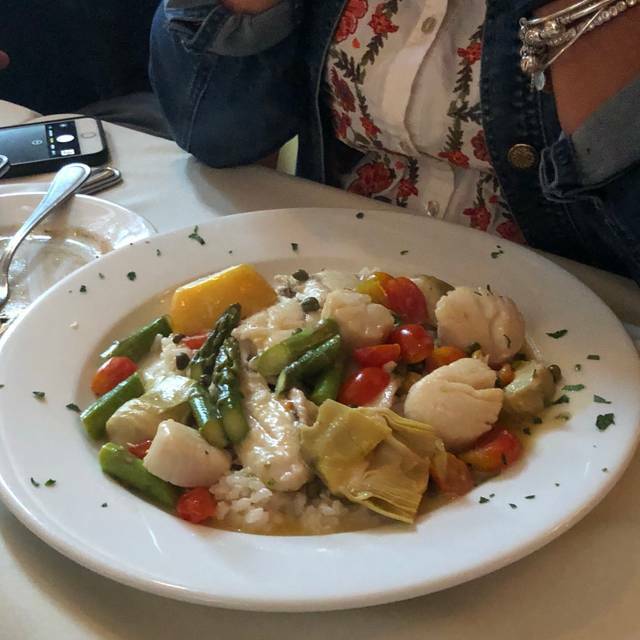 This restaurant is one of our Cape May favorites and our visit on March 31 did not disappoint. After the warm bread and complementary antipasti plate, we shared a Caesar salad. Each of us had veal: parmigiana for my husband and piccata for me. The yummy entrees were generously sized, so we both took some home to save room for one of the restaurant’s outstanding desserts. Limoncello flute and pistachio cheesecake finished our meal with flare. Wonderful food in a cosy Victorian house. One of the best in Cape May. This restaurant was over-the-top fabulous. Everything about it was 5 stars. My husband and I make a point of going here for dinner every time we visit Cape May. Tasty Italian comfort food at reasonable price. Good service, diverse menu. Food and service great. Seated upstairs in small room with another large party and they were very loud. Couldn’t hear my companions speak. Little off-putting. This was our third time there. The food is delicious. This is the second time we have had Max as our server, he provides excellent service. We will be back! Excellent food in a very nice atmosphere. Staff was very attentive. Love a byob. Would recommend this restaurant to everyone! This is my new favorite Italian Restaurant!!!! Service, food and atmosphere were just perfect. My fiancé loved the food and the fact that this was a BYOB was even better! Always have a great meal at this place my wife and I enjoy eating here and like the look of the building. 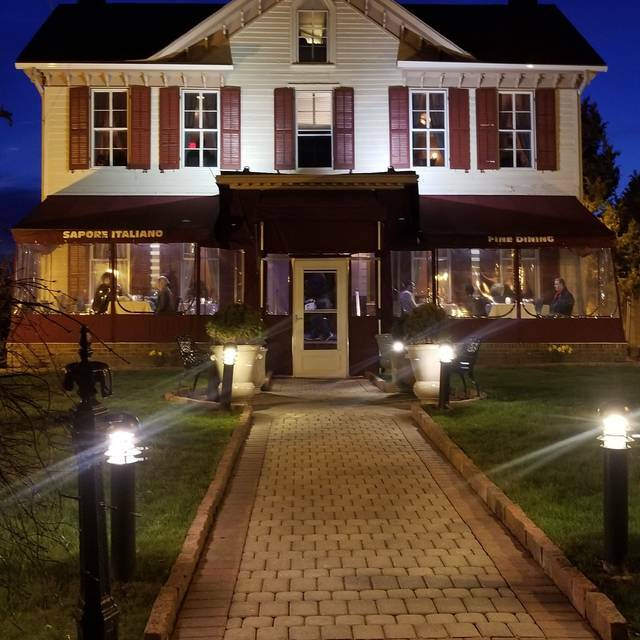 Another outstanding experience at Sapore in Cape May. We have been there several times and it's always excellent. 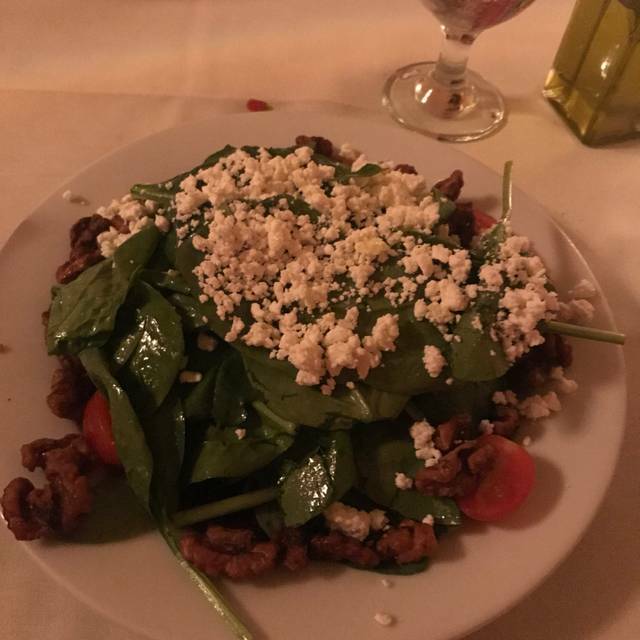 It is by far our favorite restaurant in Cape May (and we've been to many)!